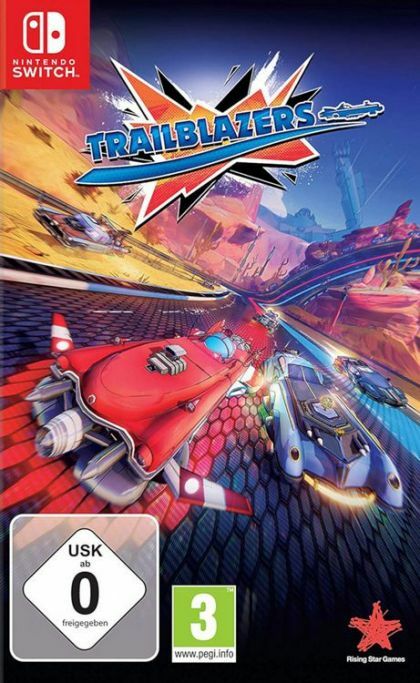 The boxed version of Trailblazers on Nintendo Switch will pack in extra content, including brand new racer 'Boo's Dad' as well as increased single-player content available straight out of the gate. Experience vibrant visuals, mesmerising track designs, and the scorching sensation of speed where players use the on-track game mechanic of painting the track to create boosting lanes for each team. Racing together in teams of up to three, gamers will cover key areas of the racing line as well as painting over opponents' painted paths to gain the advantage for their team. Racers who drive with flair and style will also amass skill points to blaze their way to victory! Innovative Paint and Boost Racing: Introducing a unique 'paint and boost' game mechanic, racers paint the track to create custom speed boosting lanes innovating the racing genre with new strategic gameplay. Campaign Mode: Multiplayer thrills and single-player challenges. Bonus content: Cool new additions and revisions for players on Nintendo Switch.